Ametyst Hotel Prague is a favoured 4 Star Boutique Hotel and Art Gallery Hotel located in the city centre of downtown Prague renowned for its fair value for money and excellent buffet breakfast. 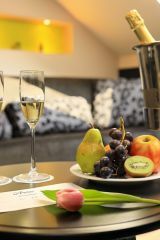 Boutique Hotel Ametyst is located in a quiet area in the district of Vinohrady, a 10-minute walk from Wenceslas Square. Metro station Namesti Miru (line A) or I.P. Pavlova (line C) in close, 5 minutes, walking distance. The Bruselská tram stop station is within a 3-minute walking distance from the Ametyst Hotel. 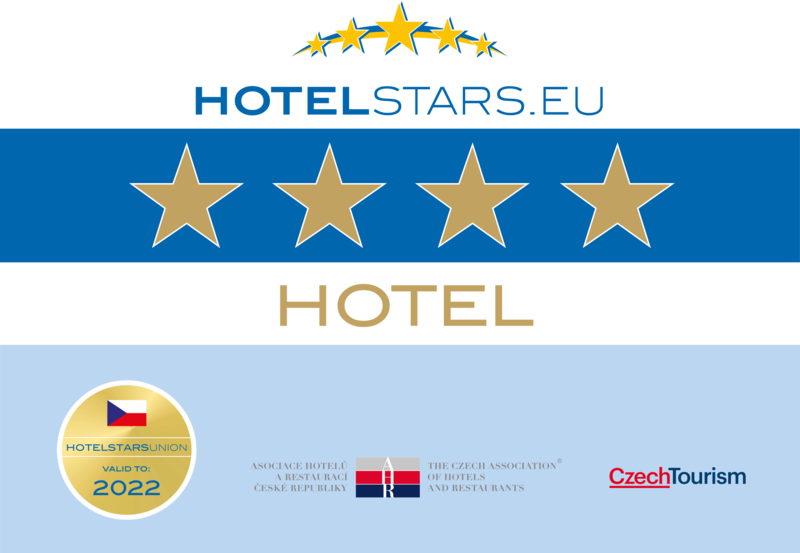 AMETYST Hotel Prague offers 84 tastefully designed, silent guestrooms equipped with air conditioning, hygienic parquet floor, safe, queensize or separates beds, workdesk, satellite, flat screen TV, WiFi Internet, tea/coffee facilities, minibar, bathroom with bathtub or shower and hairdryer. The pleasant ambience comprehends a lobby bar, meeting room, as well as the fitness facilities (sauna, solarium, massages). BOOK NEW DESIGN EXECUTIVE ROOMS WITH BALCONY !